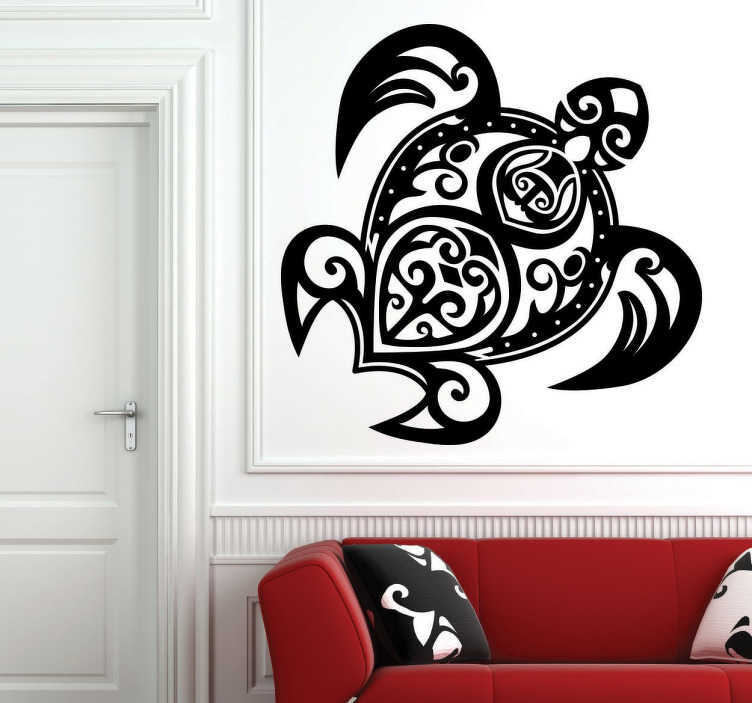 Sticker of a turtle formed with a tribal pattern, that will make the walls of your home unique. This reptile tribal can create different, unique and exclusive spaces, where you can bring all of your guests to show them the latest in decoration. Choose the colour that best suits your space and get yourself this decorative sticker for easy application and high durability at very low prices. You can complement this sticker with other ethnic or abstract reptiles for a more personal space and create a warm and comfortable feeling, forgetting about white walls.